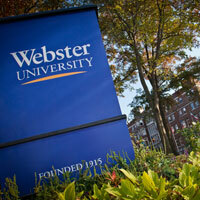 Webster University Vice President and Chief Information Officer Kenneth Freeman has been named to the position of Client Executive Partner with the technology research and strategy firm Gartner, Inc., a company based in Stamford, Connecticut. His new role will begin with the new year. Freeman joined the University in March of 2011 and served on the administrative council, provost’s council, and worked closely with the president, provost and the board of trustees. Freeman was instrumental in creating global standards for technology use at the University, including deployment of key systems from Adobe, Qualtrics, Microsoft, and other quality technology firms. Under Freeman’s leadership the university adopted a single telecom network and implemented modern video-conferencing systems. This allowed the four-digit dialing and connection between many of the campuses in the University’s global network. One of Freeman’s key achievements was to align technology services with the University’s strategic plan and lay the groundwork for the next generation of upgrades regarding cybersecurity and the deployment of new information platforms. Also, Freeman guided the relocation of Information Technology into its new location in the Luhr Building, along with improving IT services to the metro campus network, and international campuses, including the University’s newest international campus in Greece. Freeman also led efforts to extend information technology services to some of the University’s neighbors and partners, including Eden Seminary, the Emmanuel Church, and the Diversity Awareness Partnership (DAP). In his new position, Freeman will be based in the St. Louis area, working with CIOs throughout the Midwest. Gartner’s Executive Partners act as coaches, content-providers, and business advisors to members of Gartner’s Executive Partners programs, and work with a wide-range of partners who utilize Gartner products and services. Freeman will be with the University through the end of December. Margarita Muthukumaru, the director of enterprise information systems, will serve as interim chief information officer after Freeman’s departure.